How Smoking CANNABIS / WEED for a Month Affects Your Lungs ● A Must See ! - Roll A Joint! 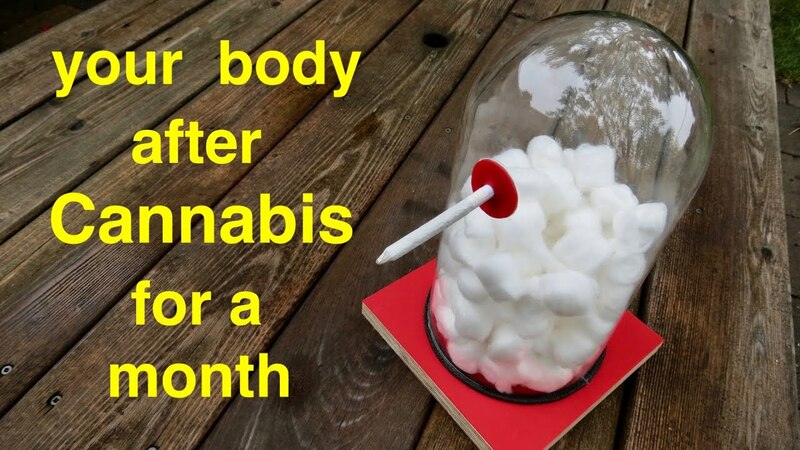 Here’s the effects on your body Smoking Cannabis for a Month. * as stated in the video, this is not a scientific experiment and only gives you a visual as to what could be going in your body. Gets kids to think twice and is food for thought for adults. * I do not smoke weed, cigarettes or vape. I tried a cigarette at 12. Coughed for 2 minutes straight with just one puff. Never tried it again after that. * I tried weed later in life. Didn’t mind it but don’t care for it. * the smoke was exhaled between each joint through a hose clearly shown twice in the video. * I have smoked a total of 1 joint in my life. I find the feeling enjoyable and relaxing. I did this to make people aware of what is coating their lungs. Anything you put in your lungs comes with risk. It’s your decision to smoke and this video is just good information. * kids, if anyone tries to get you to vape, smoke or try a joint, just say no thank you and walk away. * I think everyone agrees we must do our part to give kids a good start with a healthy life and do our best to prevent youngsters from taking up these poor habits. Adults, If you smoke tobacco, use a vape pen or smoke cannabis, never let children or kids see you do it. If they see an adult doing it, they think it’s ok. Make sure you are out of sight at home, at schools, outside of arenas or at parks . used Royalty Free Music from Bensound !